Well, I thought I had seen it all, however apparently not! You don't like antifouling (does anyone of us) so what do you do? The answer is not to ask the local handyman at your works to do the job for you! Or if you do, remember to tell him that not all the bottom of the boat should be painted. Had a guy into today asking for a replacement anode ‘cos the one currently fitted did not seem to be working! A tip worth remembering is that if the anode is fitted before antifouling is complete, rub a bar of soap over it as any paint that does find its way on, will soon wash off. Speaking of antifouling its far better to spend a little more on the 'five day' masking tape because if it does get a little damp it still peels off, unlike the cheaper version, which only works well as long as you remove immediately once you have finished applying the coat. Leave normal masking tape on overnight & you will be struggling for days to remove it & the adhesive film it leaves behind. This entry was posted in Tips and Advice and tagged Anodes, Anti fouling, Antifouling on March 30, 2012 by Iain Forrest. This entry was posted in General Interest and tagged sail, Sail Loft, Sails on March 29, 2012 by Iain Forrest. Our police 'record' must be getting around, with our sail loft being once asked if they could make a 'hot water blanket' for their spotter plane. The blanket kept the engine warm so response time was dramatically shortened. Anyway now it's a fitted cover to keep the keel (as its called) on this micro light aircraft free from bird droppings! Life is never dull in the sail loft, cos apart from me cracking the whip, which the girls enjoy, or should it be me! they in their spare time make up fabric components for Lotus! Dust covers for a well know cosmetics company & of course sails, covers & canopies for yachts & powerboats. 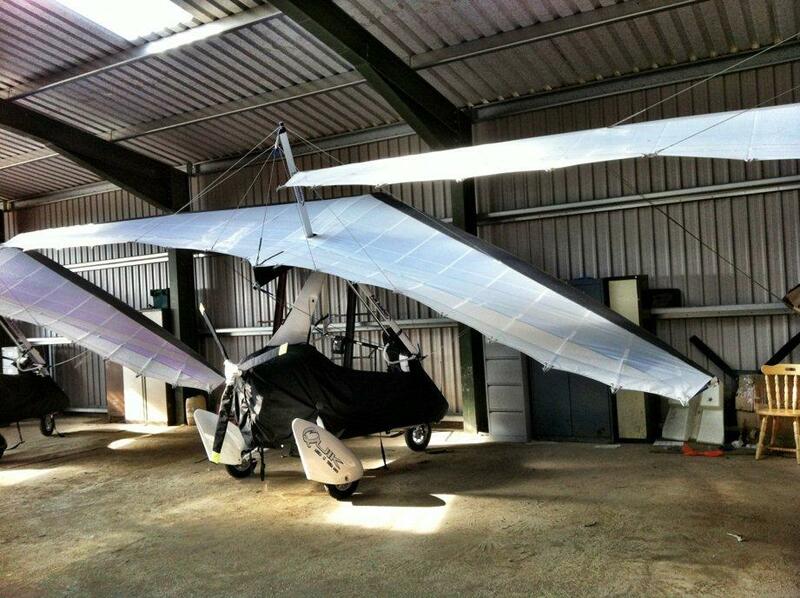 This entry was posted in General Interest and tagged Canopies, Covers, Sail Loft, Sails on March 23, 2012 by Iain Forrest. This past Tuesday I took a rare 'start of season' evening off to see the Waterboys performing at the Sage Gateshead. We always park on the North side of the Tyne near the Ouseburn & then walk up & across the Millenium Bridge or the Blinking Eye Bridge as it's known as up North. The view looking upstream is always good but its superb, now they have removed (earlier this month) those ugly monstrosities known as the VCPS or vessel collision protection system, I call them piles it is noted that they are ‘not required anymore.’ In my and thousands of other peoples minds they were never needed in the first place, anyway they are gone & with the new 'city marina' now operational its certainly worth a trip up the river, choose a windless night if you can, the reflections are fabulous, as can be seen by my first attempt(s) at night photography. 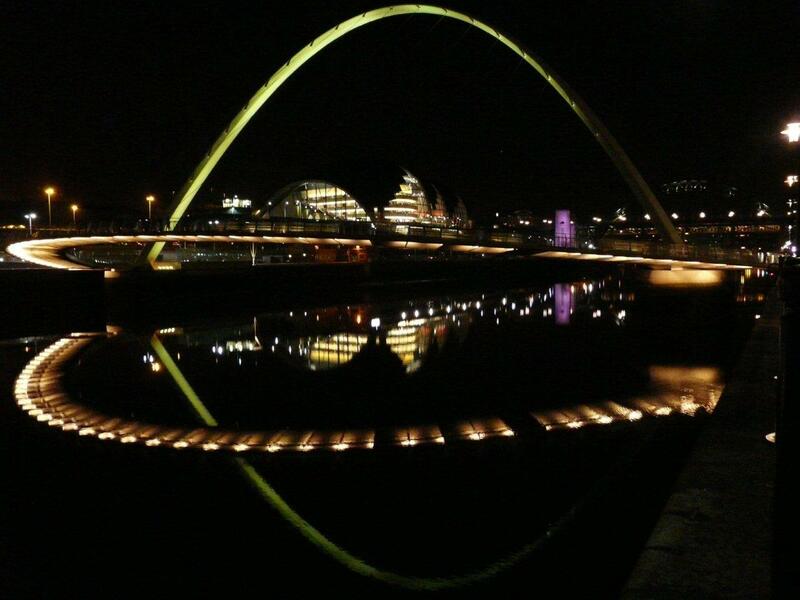 This entry was posted in General Interest and tagged Millenium Bridge on March 23, 2012 by Iain Forrest. Well the boys came good again! For the third year in a row, director Andy Burgess ‘working the foredeck’ on the work’s Sigma 8 ‘Join The Club’ have won the St Peters winter series, this year with a race to spare! It has been a close run series however, as the helm of Join The Club has a habit of starting after the rest of the fleet. Andy is not sure if this is deliberate or a cunning plan to baffle the opposition. Current Flying 15 world champion Graham Vials is lying second at the moment with one more race to go, however guest helm Ken Murray racing on the Cork 1720 Wild Reiver may yet pull it off & grab second place. Whoever wins the final race will secure 2nd overall. Corks of a different kind may then be popping on April the 1st which is the last race of the winter series. 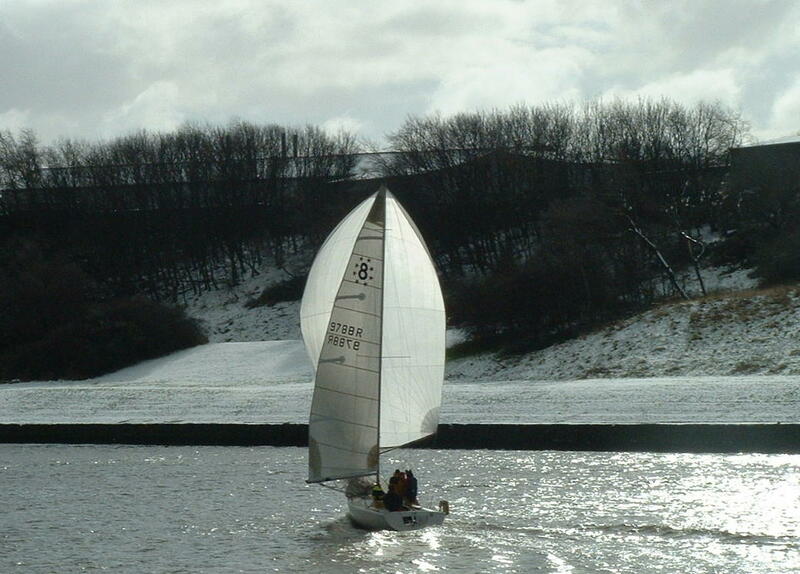 This entry was posted in Race News and tagged Tyne Bridge Winter Series on March 22, 2012 by Iain Forrest. Marine engines and outboards suffer a terrible regime - they sit doing nothing for ages then are expected to start first time and run reliably. This is why we lavish so much care on them. Winches are in the same situation but often ignored perhaps regarded as being indestructible. A bit of TLC for winches is a great way of protecting your investment, and winches should be serviced during the winter lay-up and again once or twice mid-season to keep them in top condition. It used to be the case that stripping a winch for cleaning was fraught with flying springs and tiny bits that went overboard, and people used to advise fitting a cardboard box around the winch to catch parts jumping out when lifting the drum. This is no longer the case, although sometimes a bearing cage may lift out within the drum instead of staying on the shaft. Then it will slowly slide out of the drum and hit the deck when you least expect it! You will usually find the pawls are captive in the top of the drum and can be removed with their springs when the drum is taken away from the shaft. All the parts should be cleaned using a bath of paraffin or white spirit. Don't use your washing up bowl - cut a 1 gallon plastic bottle open at the top and pour in a little liquid then use a cheap paintbrush or old toothbrush to remove all the old grease. 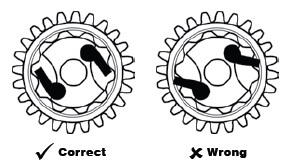 A light smear of winch grease should be applied to the bearings and gear teeth. Don't over-grease as this may result in the excess being squeezed out in the wrong place. 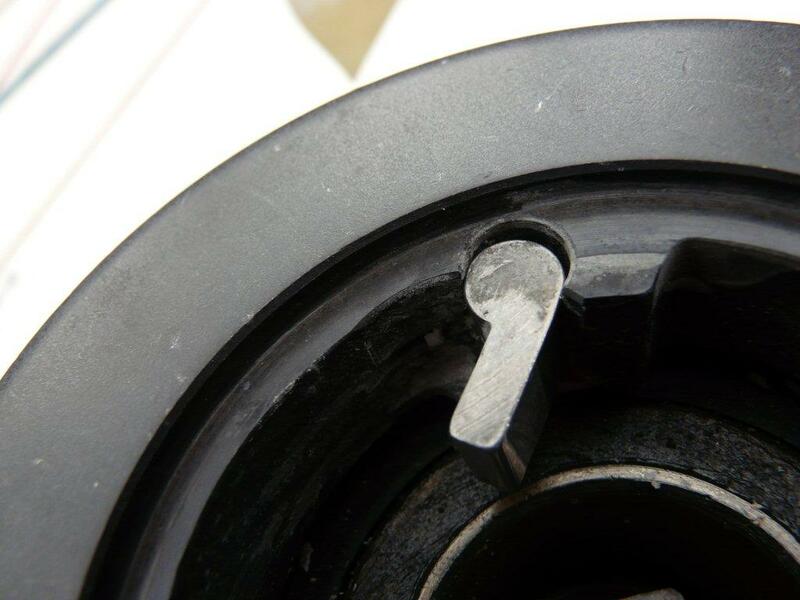 Do NOT grease the pawls or their sockets as grease on a pawl face can cause the pawl to remain closed despite the spring action and the winch would be free to spin and extremely dangerous. A light oiling is required. On the left is what happens if you don't follow this procedure. This pawl has been sticking and taking the sheet load without properly engaging in the ratchet track. As a result the pawl socket is damaged and a new drum will be needed. When re-assembling, make sure the pawls are in the right way round! If the pawls or springs are damaged or missing we have a number of spares kits available. TIP: If you have not done this before use your camera or mobile phone to record everything before you dismantle it, then you will have a reference for putting it back together again. This entry was posted in Tips and Advice and tagged winch grease, winch oil, Winch Servicing, winch spares on March 6, 2012 by Iain Forrest. Tyne Bridge Winter Series - Andy's progress? This weekend see’s the 11th race in the Tyne Bridge Winter Series. Join The Club our works entry, without director Andy Burgess on foredeck played catch up throughout the last race (over the line at the start). Lets hope for this race which starts at 11-30 Sunday that Andy can hold them back as current world Flying 15 champion Graham Vials helming Enigma will be the main threat. With three more races to go it could be a close run thing! This entry was posted in Race News and tagged Tyne Bridge Winter Series on March 1, 2012 by Iain Forrest. ~Flow is a new floating artwork open to the public from Sunday 25 March. 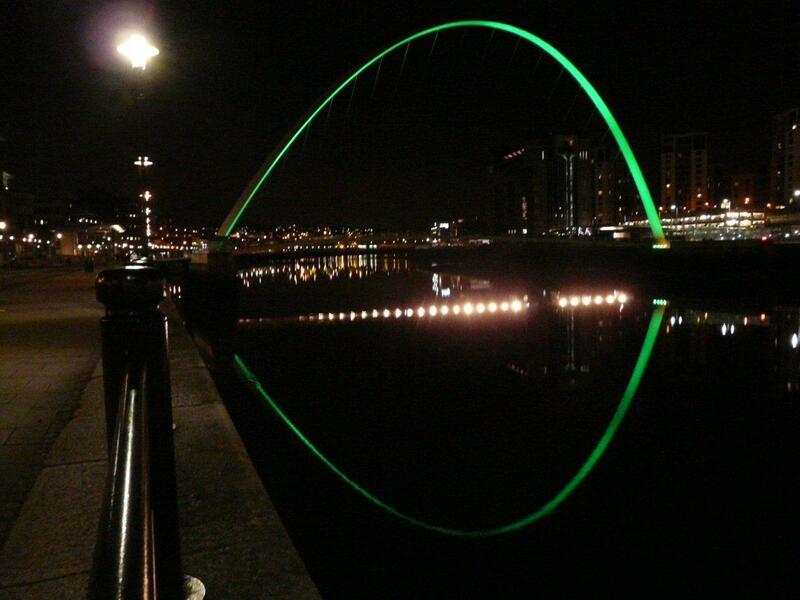 ~Flow will be based on the north bank of the NewcastleGateshead Quayside, opposite BALTIC Centre for Contemporary Art. The website for ~Flow is www.flowmill.org and you can follow the ~Flow team on twitter at www.twitter.com/flowmill. What is ~Flow? ~Flow is a floating artwork, which visitors can board for free, and will stay on the NewcastleGateshead Quayside from March until the end of September 2012. The project is part of Artists taking the lead, one of twelve public art commissions funded by the UK Arts Councils, celebrating the London 2012 Olympic and Paralympic Games. This March, after three years of development, ~Flow will take up residence next to the Gateshead Millennium Bridge, floating on the north side of the River Tyne during the spring and summer of 2012. It is a tidemill and uses a waterwheel to draw energy from the River Tyne’s current to power three mechanical musical instruments onboard the mill house. The sounds created by the instruments will respond to the changing nature of the River Tyne, using sensors to test how the water changes over the course of the tidal cycle. Visitors can also interact with the instruments, affecting the music they create. Who is involved in ~Flow? ~Flow is a collaboration between Owl Project (artistic lead) and Ed Carter (producer and original concept). For more information about the work that’s gone into creating ~Flow, go online here. Owl Project is a collaborative group of artists consisting of Simon Blackmore, Antony Hall and Steve Symons. They work with wood and electronics to fuse sculpture and sound art, creating music making machines, interfaces and objects which intermix pre-steam and digital technologies. Ed Carter is a Gateshead based music and arts producer who has a focus on technology and process. He is Director of Modular, specialists in devising and producing large-scale, interdisciplinary art projects. Ed also releases music as Winter North Atlantic. What events will ~Flow host? An extensive programme of events will run on and around ~Flow over the six months it’s open. It will take part in a number of festivals based in NewcastleGateshead, including The Late Shows and Evolution Music Festival in May, EAT! Festival in June, and The Bridges Festival in August. A series of other events, from family friendly activities and school trips, to live music events, speakers and creative workshops will be held onboard ~Flow and in surrounding venues, such as The Sage Gateshead and BALTIC Centre for Contemporary Art. This entry was posted in Uncategorized and tagged Newcastle, ~Flow on March 1, 2012 by Iain Forrest. Newcastle City Marina is open for overnight visitors from Friday 3rd March. To book a berth, visit www.newcastlecitymarina.co.uk <http://www.newcastlecitymarina.co.uk> for facilities, prices and contact details, or email [email protected] to enquire about availability. This entry was posted in General Interest and tagged Newcastle City Marina on March 1, 2012 by Iain Forrest.